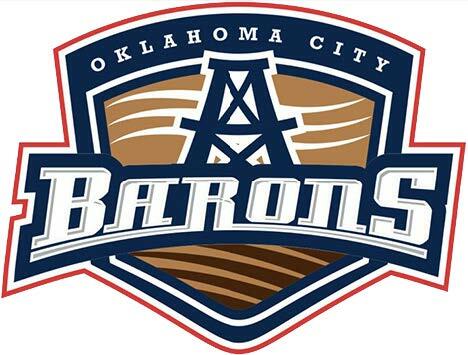 The Oklahoma City Barons recently opened their third season in Oklahoma City, fresh off their conference finals trip last season, as the top seed in the Western Conference of the American Hockey League. For those familiar with the history of Oklahoma City hockey, the Barons are not the Blazers — the old beloved Central Hockey League team who played in Oklahoma City for many years. The Barons have a much faster and better-quality brand of hockey and will easily make you forget about those Blazers. The game experience is also much better than the Blazers of old, with reasonable ticket prices (including game day “walk-up” tickets for $10), great food, a top notch bar and great ice hockey. The game I attended on Oct. 26 was against the Houston Aeros. The Barons ended up losing to the Aeros 6-4, but the overall experience was great. The game was back and forth in scoring, and had a few fights as the intensity of the game picked up. When I first got to the game, my girlfriend and I stopped at the concession stand to get some food. The options were kind of limited. It seemed like there were only a few stands open and in order to see what each one offered we would have had to walk around the entire concourse of the Cox Convention Center. We settled for the stand nearest our seats in the upper level and decided to split the BBQ pork nachos. The worker told me he’d give me a generous helping if we ordered them, so it was plenty of food for the two of us. As we walked off with our food, he said “Now that’s some $8 nachos.” For the record, they were worth it. Even if you don’t like hockey, or think you don’t understand it, hockey is a beautiful sport with understandable rules upon multiple viewings. The Barons offer a great game experience, honestly rivaling a trip to a Thunder game, and for much less money. According to www.AHL.com statistics for the game we were at, 2,995 people attended. If you ask me, 2,995 is not nearly enough considering the product the Barons organization is offering. The team also offers a variety of special promotions, including car giveaways, live music, post-game skates and other handout giveaways. For ticket information, visit www.okcbarons.com.